Kintec 2264 is a high performance boiler water alkalinity builder scientifically formulated to maintain boiler feed water pH and alkalinity within a recommended operating range. Kintec 2264 aids the control of feed water pH and boiler system alkalinity. Target dosage range for Kintec 2264 is as required to maintain boiler feedwater pH within 9.5 – 11.5 and 10.5 – 12.0 for low and high pressure boilers respectively. 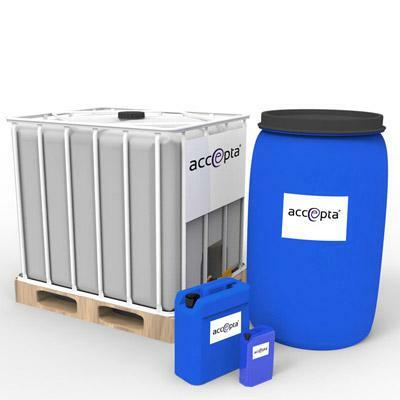 Accepta 2609 should be fed neat or as part of an appropriate mix to the boiler feedwater system where it can be uniformly mixed and thoroughly distributed using a chemical metering pump. Appropriate use of Kintec 2264 following the above dosing strategy should result in pH correction to the required level in the boiler feedwater.